LASER FIBER OPTIC SOURCE IPG 1000W - Available 2000w and 3000w. 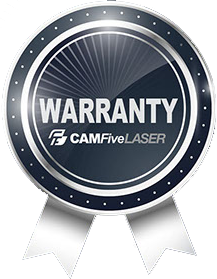 CAMFIVE LASER FC105HC FIBER METAL CUTTER EQUIPPED WITH IPG 1000W SOURCE, A STRONG ENCLOSURE FRAME, AND DOUBLE AUTOMATIC INTERCHANGEABLE 10X5' WORKTABLES. Our CAMFive Laser Metal Cutter Model FC105HC with enclosure cabinet, double 10x5' worktable with full sheet capacity and automatic table system comes equipped with 1000w IPG Source and is the fastest and cleanest way to cut metals like steel (stainless, mild, galvanized, mirror) Copper, brass, aluminum and more, some of them up to 1/2" or 18 mm thick. 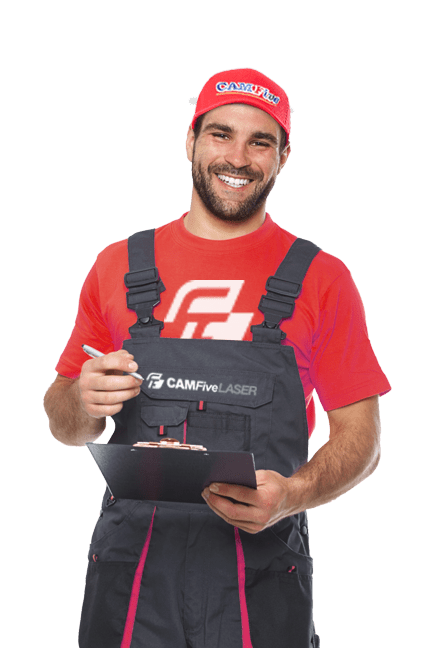 It offers a stable and precise drive system with a German ball Screw displacement axle, fast Japanese Yaskawa servo driving motors and dynamic auto-focus. LASER SOURCE: IPG Brand 1000w Fiber Laser Source - Available 2000w and 3000w. WORKING AREA: 10 x 5' ft. Full Sheet capacity. ENCLOSURE FRAME & INTERCHANGEABLE WORKTABLES: To meet quality and safety standards worldwide and eliminating production downtime, we have equipped our machine with a modern, ergonomic and convenient cabinet which allows cutting the material in a safe environment for the operator. Also, the double automatic table allows you to place and position the next metal sheet to be cut while the machine is working on the first one. Laser Power IPG 1000W (Available Upgrade to IPG 2000w and 3000w). Machine Dimensions Length: 106" (2.75 mt), Height: 73" (1.87 mt), Width: 340" (8.65 mt). Working Voltage 380V 50 - 60 Ghz.